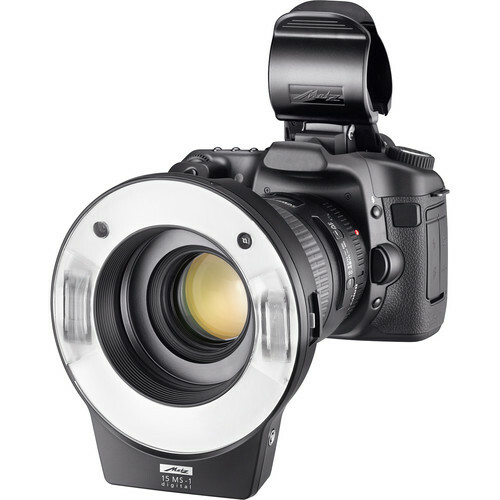 A reader contacted me about the Metz 15 MS-1 having full TTL support for GFX, XF, and Fuji bridge cameras if the latest firmware update installed. This is interesting news because there is no mention of the support on their site, but the ring flash works with their other flashes so maybe it works off their other flashes supporting Fujifilm now. The Metz mecablitz 15 MS-1 digital provides wireless macro flash via two individually-controlled reflectors. In doing so, the innovative macro flash ring guarantees balanced, precision illumination whilst opening up new creative possibilities for macro shots. With the help of individually variable reflectors (0°20°) and their precision light distribution, individual creativity really does have full rein. Creating eff ective light accents has never been so easy, regardless of the subject. And all this with superior convenience of use  aft er all, the Metz mecablitz 15 MS-1 digital automatically provides the right level of light both reliably and with precision all thanks to wireless TTL* operation. Over and above this is a clear dot matrix display which serves to make operation of the mecablitz 15 MS-1 digital even easier. Anyone looking for even more creative latitude can fall back on the manual controls on the new mecablitz 15 MS-1 and vary the prescribed light output via the six partial light output settings. Space-saving internal (rechargeable) batteries provide efficient power supply. This entry was posted in Accessories, Fuji flashes and tagged Fuji Rumors, Fujifilm, Fujifilm Rumors, FujifilmRumors, Fujirumors, Metz, Metz Mecablitz, Metz Mecablitz 15 MS-1, Metz Mecablitz 44, Metz mecablitz 44 AF-2. Bookmark the permalink. Trackbacks are closed, but you can post a comment.